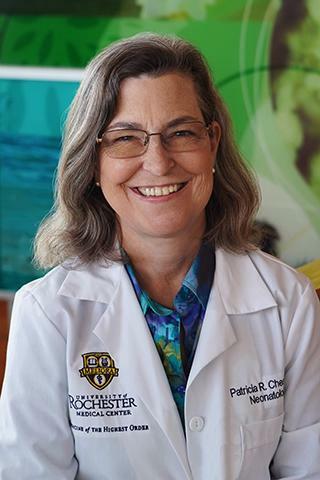 Patricia R Batchelor Chess, M.D. Mink RB, Schwartz A, Herman BE, Turner DA, Curran ML, Myers A, Hsu DC, Kesselheim JC, Carraccio CL, . "Validity of Level of Supervision Scales for Assessing Pediatric Fellows on the Common Pediatric Subspecialty Entrustable Professional Activities." Academic medicine : journal of the Association of American Medical Colleges.. 2018 Feb 0; 93(2):283-291. Mink R, et al (SPIN). "Competencies, Milestones, and a Level of Supervision Scale for Entrustable Professional Activities for Scholarship." Acad Med 2018 Nov;93(11):1668-1672 (2018). 2018; . Phelps DL, et al (NRN). "Effects of Myo-inositol on Type 1 Retinopathy of Prematurity Among Preterm Infants <28 Weeks' Gestational Age: A Randomized Clinical Trial." JAMA. 2018; 320(16): 1649-1658. Author List: Chess PR, Malhotra Y, Laroia N.
Author List: Chess, PR. 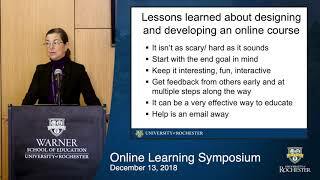 ; Malhotra, Y.; Laroia, N.
Faculty and student experiences with Online Learning at the UR, Patricia R. Chess, M.D.